Magento allows you to apply different tax rates to different states or countries depending on your settings. 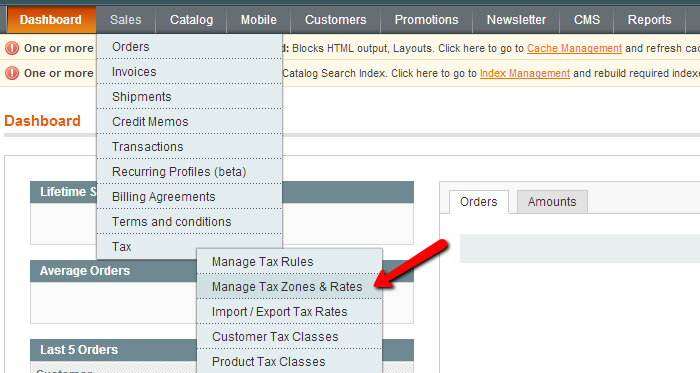 To apply custom tax rates, please refer to your Magento Admin Dashboard and click on the Sales>Tax>Manage Tax Zones & Rates. On the new page, please click on the Add New Tax Rate button on the top right corner of your screen. This will direct you to a new page on which you can input the Tax Rate Information to create a custom tax rate rule for the specific state or country. When you are ready click on the Save Rate button on the top right. Now you should see your custom tax rate in the Tax Rates list.